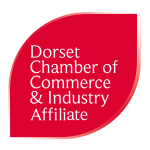 The Dorchester Chamber plays an active role in the town and surrounding area helping to promote local business and enterprise. As our title suggests we represent many different businesses large and small. Our aim is to help local businesses work together to help each other and boost trade. However we are only as strong and influential with the support of local commerce.